How Much Savings in daylight saving? What is Epigenetic Design and WHY do I Care? Yes!... I’m finally beginning to feel like my old self! It’s been rough since the Spring Equinox and the roll back to Daylight Savings time, but my biological clock is finally entraining to longer days and shorter nights…. and I’m not alone. For the two week period following the transition to Daylight Savings Time, recent studies have also shown an increase in cardiac admissions and a rise in traffic accidents to also occur. ( Kantermann, T. et al 2007) Sure, blame it on the loss of an hour’s sleep, but my spin is that we humans are also keying in on the unusual equality between light and dark during the celestial Spring Equinox thus bringing about the fractured sleep, daytime fatigue and an unsettling feeling of unease so many experience. So when a few hours of unusual light cues and a 1 hour sleep loss can disrupt so many, what happens when we continually push with ever increasing 24/7 artificial light at night? Could it be a disruption so great to the human system to bring about a rise in the occurrences of cancer, obesity, metabolic syndrome, ADHD and many other modern day afflictions? Not a new question since 1963 when Wurtman and colleagues first reported that nighttime melatonin synthesis in the pineal gland was under the inhibitory control of light, we’ve known that the delicate balance of environmental light and dark played a major role in our overall health, yet we continue with wholesale indiscriminate use of bright nighttime artificial light. And this is especially concerning when you consider that less than 10 foot candles of room light during a period naturally intended for darkness is enough to suppress a major hormone, it is a tribute to our body’s designer that we are functioning as well as we have these many years under the glare of artificial 24/7 light( Zeitzer J. et al 2000). So what role does the designer of the built environment play in all of this? First of all, I’m not suggesting that we take the blame nor forgo the use of artificial light after dark, but rather that we, the entire A&D community dig deeper into the evidence-based data on how light and darkness affect the human body and brain, and then apply that research to not only patient rooms, but EVERY SPACE we design: from public gathering areas and workplace environments, to residential homes and bedrooms. Ever building we construct, every room we design, all must be crafted with a skill set knowledgeable into how we are dependent on light zeitgebers such as daytime blue wavelength light, a mid period of white to red shifted evening light, and sustained low-light darkness at night in order to correctly signal bodily and neurological functions necessary for our healthy survival. And once we collectively decide to support the body and brain with our creative efforts, we will be designing….. with darkness in mind. Kantermann, T. et al ( 2007 ) The human Circadian clock’s seasonal adjustment is disrupted by daylight savings time. CURRENT BIOLOGY 2007 Nov 20;17(22);1996-2000.Epup 2007 Oct 25. How much savings in daylight savings? (Published: 03-08-2008, Philadelphia Inquirer) It’s the second year of a national experiment to save energy with an earlier start for daylight saving time. The theory: If we're awake for more of the daylight, we’ll have the lights on for less time. So if we start it sooner - four weeks earlier this year - we might save even more. One thing researchers do know, on the other hand, is how the time shift affects one of our most primal regulatory systems: the body clock. There’s an impact whether we “spring forward” on the first Sunday in April or, as we do this year, on the second Sunday in March, said George Brainard, a professor of neurology at Jefferson Medical College. The annual switch has the potential to affect our bodies in two ways, said Brainard, a leading expert on the impacts of light on the body's daily rhythms. First, many people, rather than curtailing their waking activities, will simply lose an hour of sleep tonight, he said. Second, some people may experience mild forms of the sort of malaise that comes with jet lag, Brainard said. That’s because our physiological clocks take their cues from sunlight, via special cells in the eye. These cells relay messages to the brain about when to adjust hormone levels and rev up the body for the day's activity. “Light is such a powerful stimulus, even though it's often below our level of consciousness,” Brainard said. (Published: 11-09-2007, Philadelphia Magazine) If leaving the office to sunless skies has you feeling tired and glum, you may be dealing with a form of seasonal depression.You wake up, it's dark. You leave work, it's dark. It's only 6 p.m. and you're ready to head home and crawl under the covers. If over the last few weeks you've noticed yourself morphing from your stay-up-till-dawn summer self to your winter-hibernation, don't-bother- me-I'll-growl-like-an- angry-bear alter ego, you may be struggling with seasonal affective disorder (SAD). A form of depression, SAD affects those who react negatively to the dwindling amount of sunlight and the frigid temps of the fall and winter months. What is EPIGENETIC DESIGN …and WHY does it Matter? What is EPIGENETIC DESIGN and why does the relationship of our genetic functioning to modern day architecture, design, decorating and construction of the built environment really matter? When it comes to human health, job performance, workplace productivity, learning and mental cognition, sleep, and even how fast we heal, the answer is a shining bright light at the end of a long, dark, tunnel of windowless environments, overly bright nights, acoustically noisy and overly-chilled spaces, inadequate workplace lighting, and "design" for the sake of trend setting aesthetics alone. Since the late 1990’s when human genetic research demonstrated, and later proved that specific genes respond, and are dependent on, signals from the environment to express ( turn on ) without changing the sequence of the gene, the flood gates were opened for scientific and medical research demonstrating how and why the extracellular environment is affecting genetic expression and the consequences it has on our body, brain and emotions. Known as ZEITGEBERS, the main environmental cues responsible for genetic signaling are LIGHT and TEMPERATURE and when the cyclic nature of these naturally occurring cues are disrupted, then the body and brain respond with health and wellness related consequences. And it's these same cues within the built environment that are largely determined and controlled by architects, designers, contractors and building occupants. Afterall, it's the architect who determines the size and location of a structure's windows and openings to the exterior, the designer who is responsible for the indoor artificial lighting levels and natural light blocking window coverings, and the building occupant who makes the decision to maintain a constant indoor climate even though we are designed to experience warmer daytime air temps and cooler nights. In all cases, an artificial disruption of the naturally occuring cycle of varying day /night ambient temperatures and ever changing light levels throughout a 24.2 hour period is specified without first understanding how and why the body and brain will react to artificially manipulated light and temperature zeitgerbers. And when the consequences of not understanding will someday be measured in rising breast cancer rates, increasing waist bands and failing grades, the intent-driven design practice of EPIGENETIC DESIGN and the push to inform the public and A&D community to the health related consequences of their design and lifestyle decisions becomes apparent. Based on a working knowledge of human anatomy, physiology, anthropometrics, neurophysiology, and neuroendocrinology,the emerging practice of evidence- based EPIGENETIC DESIGN is encouraging worldwide understanding and dissemination of main stream scientific and medical research which demonstrates that the disruption or artificial elimination of the zeitgerbers of natural light and temperature are now correlated, or in some cases causative, for major health concerns such as: breast cancer, chronic disruptions of the sleep/wake cycle, decreases in cognition and mental acuity, increases in dementia related behaviors, slower healing and recovery rates, increased weight gain, infantile SIDS and many other health and lifestyle problems that can be impacted by failing to understand the design relationship to the human need for phase dependant light cycles of specific wavelengths coupled with phase dependant temperature fluctuations throughout a 24.2 hour period. And the evidence for epigenetic design understanding is especially clear in the area of sleep, where the process of sleep itself is dependent on the Zeitgerber cues of daytime light, darkness at night, cooler nighttime temperatures and warmer days in order to achieve a positive pattern of quality sleep throughout a cradle to grave lifetime. And when you consider that the past 70 years of architectural and interior design has been a somewhat monochromatic, windowless environment filled with an indiscriminant bombardment of poor quality 24/7 artificial light and a forced-air, set temp climate control, it’s no wonder that science and medicine are now taking a concerted look at the built environment /health interconnection. So why should designers, architects, healthcare management teams, hotel developers, business owners, local school board members, moms, dads and the average guy on the street, understand the importance of the design/health relationship regarding the spaces they occupy everyday and go home to each night ? Again,the answer is simple; because when we take up the challenge of EPIGENETIC DESIGN and approach each and every project from a human- centered perspective... we all win. By designing each and every space from jails to hospitals, homes to hotels, and schools to sports arenas, with the body and brain in mind BEFORE we consider the aesthetic and economic constraints, THEN we truly have created a health conducive, aesthetically pleasing, nurturing place in which we ALL can work, shop, relax, learn, heal and…. call home! Beauchemin, K.M. "Dying in the dark: Sunshine, gender and outcomes in myocardial infarction." Journal of the Royal Society of Medicine 91, no. 7 (1998): 352-354. Boyce, P., C. Hunter, and O. Howlett. "The benefits of daylight through windows." Rensselaer Polytechnic Institute, 2003. C Nissen, C Klopfer, B Feige, D Riemann. "Impaired Memory Consolidation During Sleep in Primary Insomnia." SLEEP Journal of Sleep and Sleep Disorder Research (Associated Professional Sleep Societies, LLC) 31 Abstract Supplement (2008): A227. Cole, CS, et al. "The Relationships Among Cognition, Functional Performance, and Nighttime Sleep in Nursing Home Residents with Dementia." Journal of Sleep and Sleep Disorders Research (Associated Professional Sleep Societies, LLC) 31, no. Abstract Supplement (2008): A101. Coleman-Phlox, Kimberely, and Li et al. De-Kun. "Use of A Fan During SLeep and the Risk of Sudden Infant Death Syndrome." Archive of Pediatric and Adolescent Medicine (Archive of Pediatric Adolescent Medicine) 162, no. (10) 963 - 968 (October 2008). CT Peixto, AT Silva, FM Louzada. "Adolescents Exposed to Home Electric Lighting Have Delayed Sleep Onset." SLEEP Journal of Sleep and Sleep Disorders Research (Associated Professional Sleep Societies, LLC) 31 Abstract Supplement (2008): A55. DM Berson, FA Dunn, M Takao. "Phototransduction by retinal ganglion cells that set the circadian clock." Science 295 (2002): 1070-1073. Duffy, Jeanne, Jamie M. Zeitzer, David. W. Rimmer, Elizabeth B. Klerman, and Derk-Jan Dijk. "Peak of circadian melatonin rhythm occurs later within the sleep of older subjects." American Journal of Physiological Endocrinaol Metab, 2002: E297-E303. Edwards, L., and P. Torcellini. "A literature review of the effects of natural light on building occupants." National Renewable Energy Laboratory, 2002. F. Benedetti, C. Colombo,B. Barbini. "Morning sunlight reduces length of hopitalization in bipolar depression." Journal of Affective Disorders 62, no. 3 (2001): 221-223. Group, Hershong Mahone. 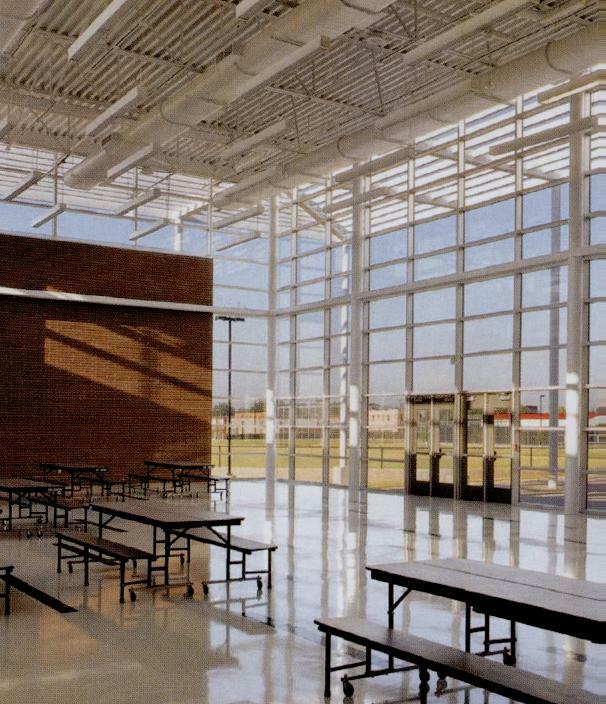 Daylighting in Schools: An Investigation into the Relationship Between Daylighting and Human Performance. Fair Oaks: Pacific Gas and Electric Company, 1999, 29. J. Shen, S.A. Chung, C.M. Shapiro. "Insomnia in a Shift Working Population and Its Correlations with Fatigue and Sleepiness." Journal of Sleep and Sleep Disorders Research (Associated Professional Sleep Societies, LLC) 31, no. Abstract Supplement (2008): A224. J.H. Lee, K.J. An, T.H. Kim, S.J. Kim and J.H. Jhoo. "Neuocognative Function Related with the Sleep-Wake Rhythm in Mild Cognitive Impairment (MCI) Patients." Journal of Sleep and Sleep Disorders Research (Associated Professional Sleep Societies, LLC) 31, no. Abstract Supplement (2008): A50. Kimble, S. Lee L.P. "Daytime Light Exposure and Well-Being Amoung Mothers of Low Birth Weight Infants: A Preliminary Report." Journal of Sleep and Sleep Disorders Research (Associated Professional Sleep Societies, LLC) 31, no. Abstract Supplement (2008): A49. Lonnqvist, T. Partonen and J. "Bright light improves vitality and alleviates distress in healthy people." Journal of Affective Disorder 57 (2000): 55-61. Mariana G. Figuerio, John D. Bullough, Robert H. parsons, Mark S. Rea. "Preliminary evidence for a change in spectral sensitivity of the circadian system at night." Journal of Circadian Rhythms 3, no. 14 (December 2005). Miller, C.L., and R. Whitman. "The effects of cycled versus non-cycled lighting on growth and development in preterm infants." Infant Behavior and Development 18, no. 1: 87-95. Rea, Dr. Mark. 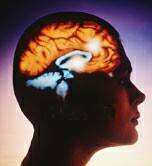 "Framework developed for testing how lighting can affect human health; New scientific model will be featured in Brain Research Reviews." October 19, 2005. Roberto Refinetti, Ph.D. Circadian Physiology Second Edition. Boca Raton, Florida: Taylor & Francis Group, 2006. Schwalb, Nina. Science Daily : Can Genetic Information Be Controlled By Light? October 10, 2008. http://www.sciencedaily.com/releases/2008/10/081010092352.htm (accessed October 12, 2008). Sloan, P.D., C.M. Mitchell, and J. Preisser. "Environmental correlates of resident agitation in Alzheimer's disease special care units." Journal of the American Geriatrics Society 46 (1998): 862-869. SW Lockley, EE Evans, FA Scheer, GC Brainard, CA Czeisler, D Aeschbach. "Short-wavelength sensitivity for the direct effects of light on alertness, vigilance, and the waking electroencephalogram in humans." Sleep 29 (2006): 161-168. T. Deguchi, M Sato,. "The effect of color temperature of lighting sources on mental activity level." Annual of Physiological Anthropology 11 (1992): 37-43. Terman, M., J.S. Terman, and D.C. Ross. "A controlled trial of timed bright light and negative air ionization for treatment of winter depression." Archives of General Psychiatry 55, no. 10 (1998): 875. University, Brandeis. Two Brandeis Scientists Shed Light On The First Photoreceptor Known To Set Circadian Rhythms. 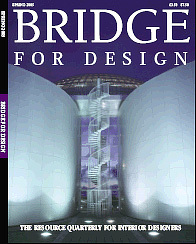 November 24, 1998. http://www.sciencedaily.com/releases/1998/11/981124063410.htm (accessed March 19, 2008). Y Zhu, HN Brown, Y Zhang, RG Stevens, T Zheng. "Period3 Structural Variation: A Circadian Biomaker Associated with Breast Cancer in Young Women." Cancer Epidemiol Biomakers Prevention 14 (2005): 268-70.